Google Analytics Enhanced Ecommerce tracking…isn’t it great? It can provide you with multiple product impressions tracked on a single page, click throughs on individual products, and individual product page impressions. But, what if your site has a structure that needs those tracking capabilities, and you aren’t ecommerce? That is what Blast Analytics & Marketing ran into with their Google Analytics Premium client, Yellow (New Zealand). 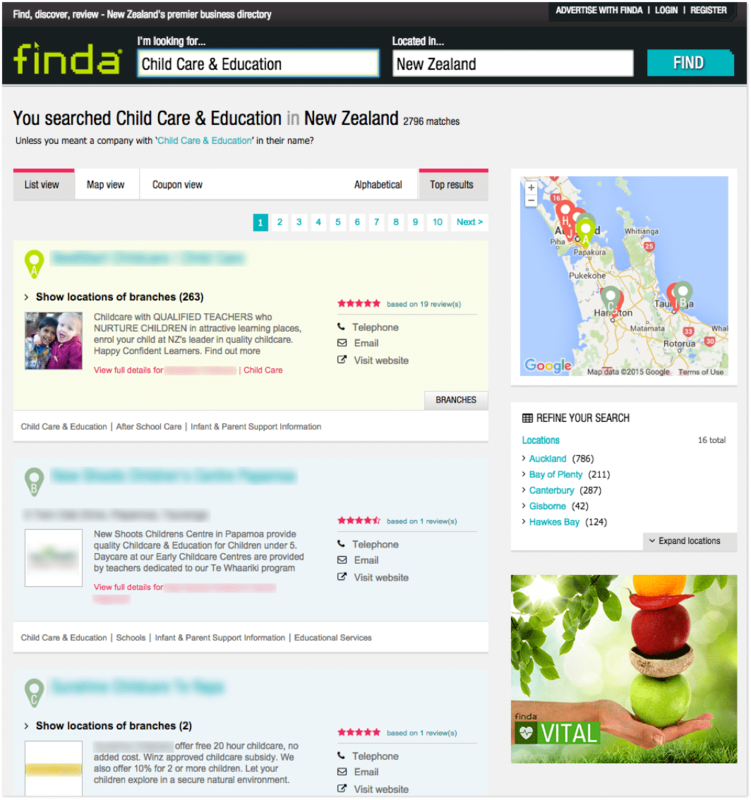 As a business directory, finda.co.nz does not sell products on the site, instead they sell ad listings. Tracking ad impressions is of highest importance to Yellow, but they were lacking a solution for tracking their multiple ad listings per page. Currently, Enhanced Ecommerce is the only method of tracking data for multiple items within a single hit. Yellow was capturing data across all ads shown on a page and stringing that data together to pass as a Google Analytics Event. To view impressions, clicks, and click-through rate, the Event reports would be exported, strings parsed, data sorted, click-through rate calculated, and then presented outside of Google Analytics. The system worked for monthly reporting, but it was unsuitable for one of the main strengths of Google Analytics – the ability for an end user to apply on-the-fly breakdowns in the interface. Blast implemented a custom Enhanced Ecommerce tracking solution, which enabled the ability to track ad impressions in the same way that product impressions would normally be tracked on an ecommerce site. This new process saved time since they no longer needed to export, reformat, and digest the data. Yellow is able to collect listing name, position and list type, and easily report on those metrics within Google Analytics. Analysis of list position is now at Yellow’s fingertips, enabling the assessment of the relative value of each position, as well as the differences in user behavior in different industries.